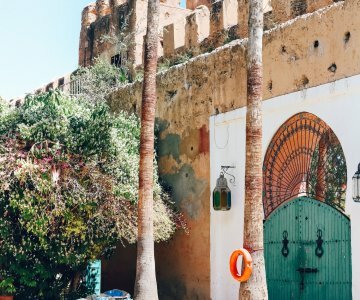 Another Morocco trip, let's go to Agadir! 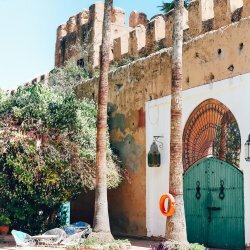 Where to stay, what to do - all of the photos! Did anyone else watch the Royal Wedding today? I am not much of a royalist, but I absolutely love watching the weddings, they are just magical and this one was no exception – I love how they so beautifully mixed and honoured both their cultures! ..my favorite part of the wedding was creeping celebs and their outfits though, so many colorful dresses and crazy hats. I love suits so it was so much fun to see the cast there + I was drooling over David Beckham as always, what a babe!! #noshameinmygame He just gets even better looking as he ages, not fair! 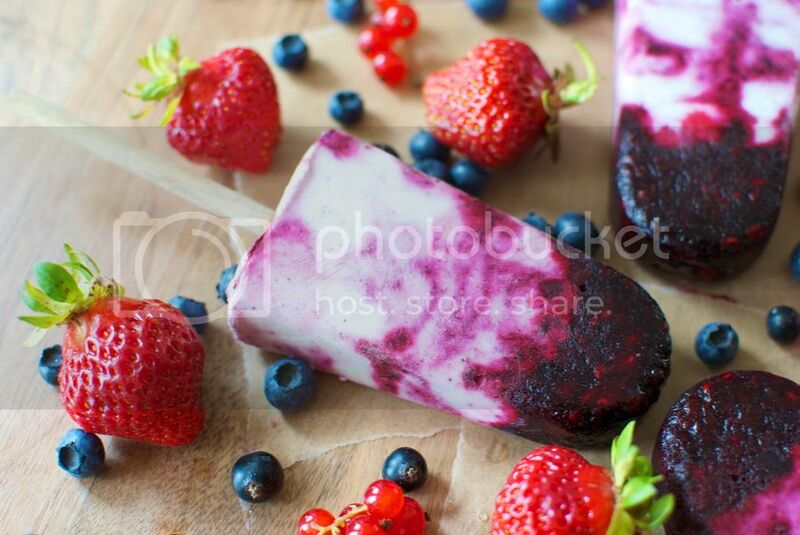 You can still find the recipe in Danish right here and find more of my favorite popsicle recipes right here! Start by making the berry compote by adding all the ingredients to a saucepan and bring it to a boil. Let it simmer for a couple of minutes and then set it aside to cool. 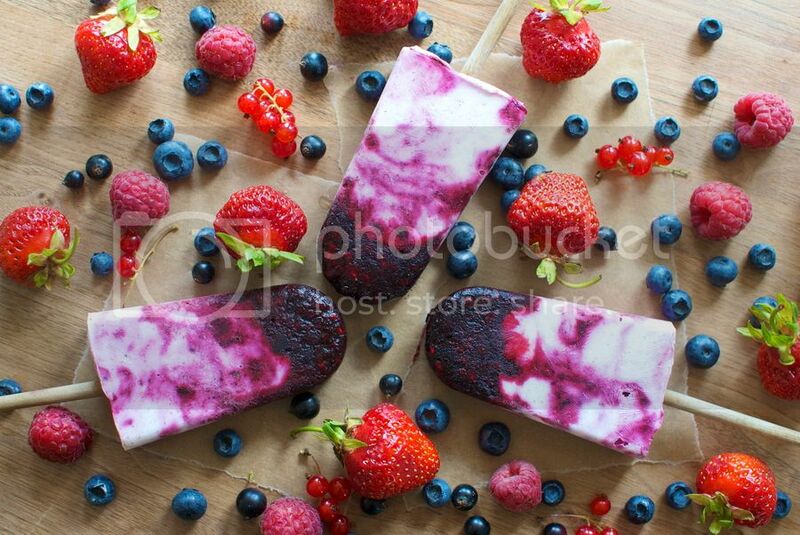 Mash the berries with a fork for a smoother result when added to the popsicles. Add the ingredients for the vanilla greek yoghurt to a bowl and mix everything well. When the compote has cooled down, then get the popsicle moulds ready and divide half of the compote into the popsicle moulds. 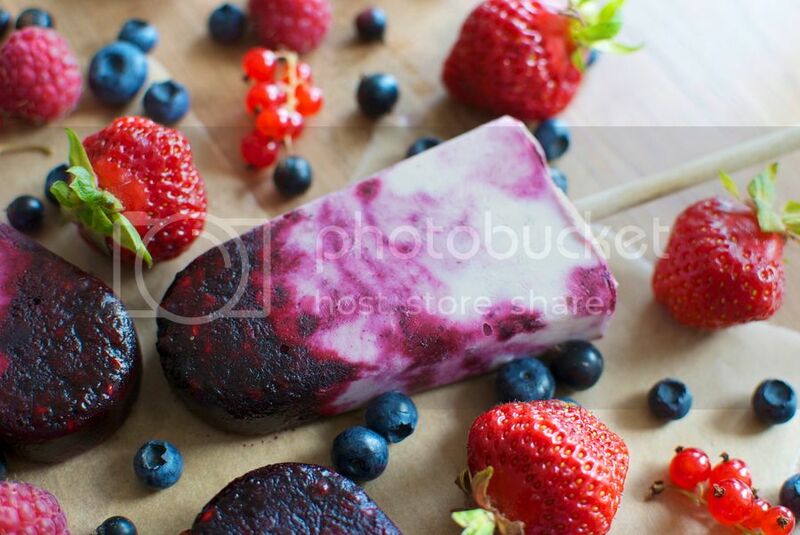 Gently fold the rest of the compote into the greek yoghurt mix for a marbled effect and add it to the popsicle moulds. Now all there is left to do is to add the popsicle sticks and put the moulds in the freezer so the popsicles can set. They should be ready after 3-4 hours. If you have trouble getting the popsicles out of the mould, then simply hold the moulds under hot water for 5-10 seconds and they should pop right out. Dine billeder og opskrifter er altid on point Signe! Kæmpe respekt herfra! Jeg får et par veninder over i morgen, og jeg ved at disse Popsicles bliver et hit hahah. Hvor er du bare sød Sara, tusind tak! !